With years of retail industry experience, BBG Services will help you manage exciting, stunning, multimedia customer sales environments using state-of-the-art visual merchandising technology. 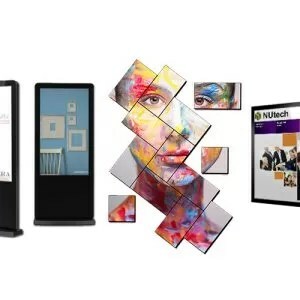 Our Studio partners with BrightSign, LG, Samsung, NEC, and Lighthouse – industry-leading manufacturers of digital signage display systems and infrastructure. If your business is to attract footfall, no matter what sector, you can gain from offering an engaging experience. Audio visual digital signage ensures that your visuals and message content is displayed in the most animated way possible. 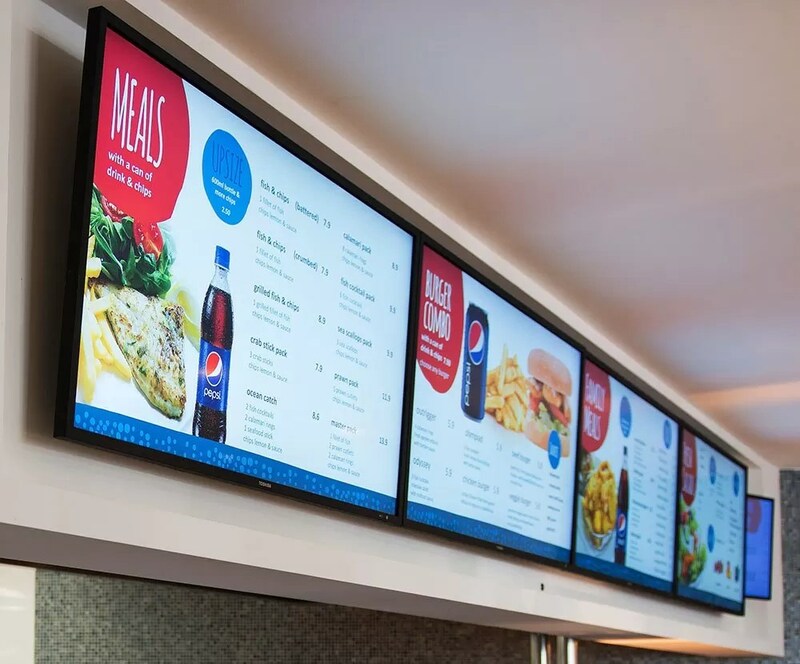 BBG has the expertise to guide you on the installation of state of the art screens, brackets and BrightSign Digital Signage equipment. 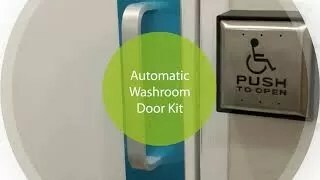 Tested in the retail sector, it can also be harmoniously integrated into museums, stadiums and schools, colleges, universities to provide the ideal space for dynamic guidance and promotion. Combining our expertise with the BrightSign application and hardware we can provide complete signage solutions to support creative and dynamic digital signage without the use of a computer. Offering full HD and 4K video quality on a solid state platform, you can stream your video messages, advertisements, social and news feeds as well as live TV across any screens from table top displays to multi-screen clusters or large video walls. BrightSign Digital Signage can be controlled remotely, allowing you to deploy presentations across your sites, similar to the deep experience BBG has of doing this with in-store music in recent years. Effective in presenting information and the influencing of consumer spend, the global digital signage market is growing dramatically. The right screens are one thing, but without well-managed content they’re just screens. What are the benefits of investing in professionally-served digital signage? Gain from offering an engaging experience. AV digital signage ensures that your visuals & message content is displayed in the most animated way possible.